Bruno Mars is back in France! 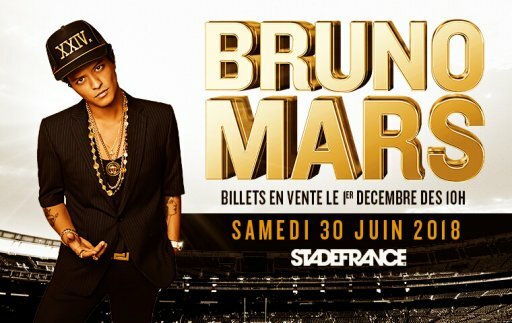 The multi-award-winning singer, who won 7 awards at the American Music Awards 2017, will hold a concert at the Stade de France on Juin 30th 2018 for his 24K Magic World Tour. Find a hotel located near Stade de France.